The KARS Institute - The KARS Institute, Inc.
Education is enhanced when you collaborate and communicate with others to share, examine and critique ideas and best practices. The ripple effect of our learning, discovery and collaboration extends farther when we join together. Welcome to The KARS Institute! Our Mission: The KARS Institute for Learning & Collaboration is a 501c3 nonprofit organization whose mission is to provide training, resources, support and opportunities for collaboration and partnership to new and emerging nonprofits and community organizations. Many of those who have a passion to provide assistance, support and resources to those who are less fortunate are themselves in need of support of their mission and efforts. The KARS Institute, Inc. is dedicated to providing professional development, strategic planning, consulting and more as a way of assisting community agencies to do more and maximize their resources. New and emerging community organizations and nonprofits have passion and a heart for making a difference, but far too often they lack the capacity to build their organization in critical areas such as: board development, funding/fundraising strategies, grants management, volunteer recruitment, marketing and PR, organizational development and program planning, implementation and assessment. ​As an outreach partner of The KARS Group, LTD--The KARS Institute, Inc. fills this gap by providing the tools necessary to fill capacy through training, opportunities for collaboration, and shared resources in order to provide a solid foundation for those who seek to make a long-term impact in our communities. Check out our Nonprofit Know-How Segment! Our Goal & Services: Knowledge Always Reigns Supreme! At The KARS Institute, we believe that information is static; knowledge is dynamic and that you can't acheive knowledge without application. Knowledge Always Reigns Supreme--and therefore, it is our goal to engage you, educate you and stimulate you so that you can apply concepts and use the information that you receive in order to create dynamic knowledge. Organizations need applicable tools, strategies, connections and real knowledge to make a difference. Information alone does nothing for you or your organization--there's more than enough static information readily accessible already--but Knowledge provides you with the tools to help you acquire funding, sponsorships, resources, partners, volunteers and more. Our Training opportunities form the basis for independent self-study as well as live instruction that provides opportunities to build capacity and develop organizations. 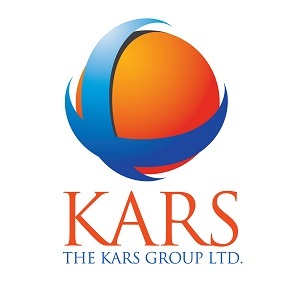 As an added resource to provide opportunities for you to connect, collaborate, network and gain support for your organization, we offer a KARS Nonprofit Accelerator, Fiscal Sponsorship, Internships, monthly KARS Virtual Collaborative Think-Tank Sessions and our KARS Collaborative. Thank you for your interest in The KARS Institute. We welcome your support and invite you to join us in our efforts by Contact us to Volunteer, Make A Donation and, of course, send a friend!